A couple of days ago, some users complained that the 2018 iPad Pro was shipped to them slightly bent, irrespective of its mistreatment. 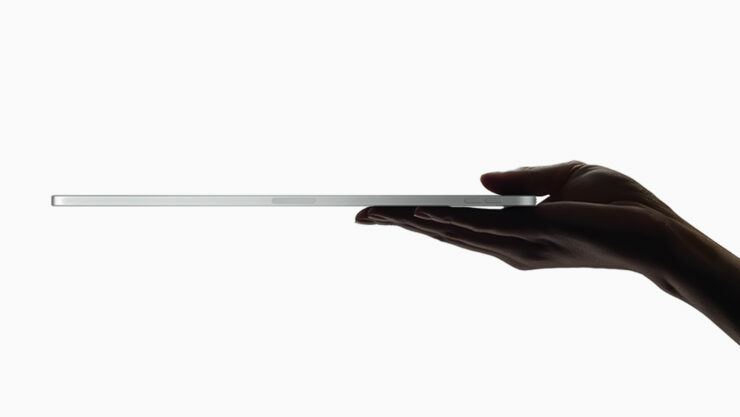 The issue afflicted both the 11-inch and 12.9-inch variants, with the LTE models attaining a higher chance of bending. Apple came out with a statement saying that the issue was normal and to add more integrity to that statement, an executive of the company has said that the California-based giant adheres to very high-quality standards when making such a product. The real question is will this statement sit well with the customers who spent a great a deal of money purchasing the new iPad Pro? Tim Cook has not provided a comment yet on the latest saga with the iPad Pro, but Riccio stepped in to tell that the iPad Pro’s design meets or exceeds Apple’s quality protocols. “Relative to the issue you referenced regarding the new iPad Pro, its unibody design meets or exceeds all of Apple’s high quality standards of design and precision manufacturing. We’ve carefully engineered it and every part of the manufacturing process is precisely measured and controlled. Whether or not this statement is true, it might not bode well with the abundant number of customers who paid a minimum of $799 to obtain the iPad Pro. A few days ago, Zach from JerryRigEverything performed a bend test on the tablet and it snapped in half fairly easily. Part of why the slate manages to fold almost like paper was because a weakness in the structural integrity of the product was found smack in the middle where the microphone is present. It is highly likely that customers will be issued a new iPad Pro once they take their tablet to the nearest Apple retail outlet in that 14-day window of purchasing that product. However, Apple should release a public statement explaining what’s going on with its redesigned iPad Pro. Have you ever had a slate shipped to you with poor build quality? Let us know down in the comments.